Maria Torres is the first player from Puerto Rico to earn her LPGA Tour card. Maria Torres sounded like she had just won the lottery. "I'm speechless," the 22-year-old said. "I can't believe this is real." Instead of being handed a giant check, though, Torres earned something much more valuable this past week at the LPGA Tour qualifying tournament in Daytona Beach, Florida: a full tour card next season. The final qualifier took place over the course of five days, and the top 20 finishers in the field of 165 players earned full cards. Torres, an amateur, clinched the final spot by winning a three-hole, aggregate stroke-play playoff. 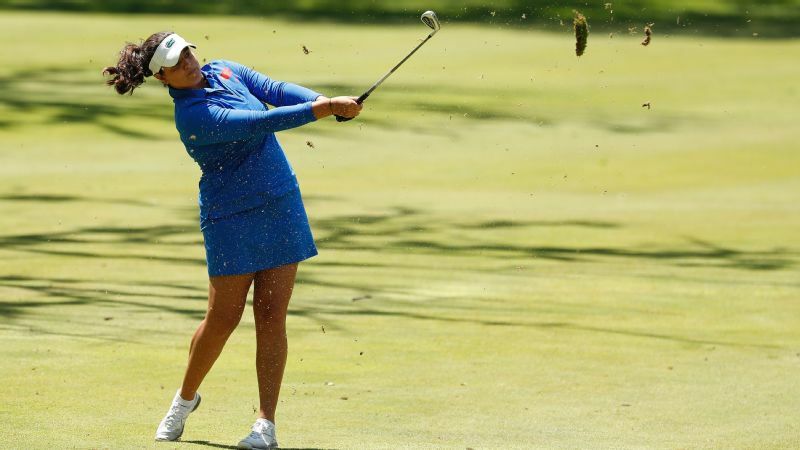 But for Torres, a recent graduate of the University of Florida, earning her tour card meant something slightly different. As the first player from Puerto Rico to earn full status on the LPGA, she talked with espnW about what this means to her to represent her homeland. espnW: Has it settled in yet that you're going to play on the LPGA Tour? Torres: I think every day a little bit more. We have been in rookie orientation the last couple days, so it has been sinking in little by little. It's becoming more real. I'm excited to keep working on my game and getting better every day. espnW: How did you feel going into Q-school? Torres: I practiced a lot, so I felt like I had done everything I needed to in order to perform. But I just really needed to control my emotions and just go out there and play. I focused on what I could control and just wanted to have fun. 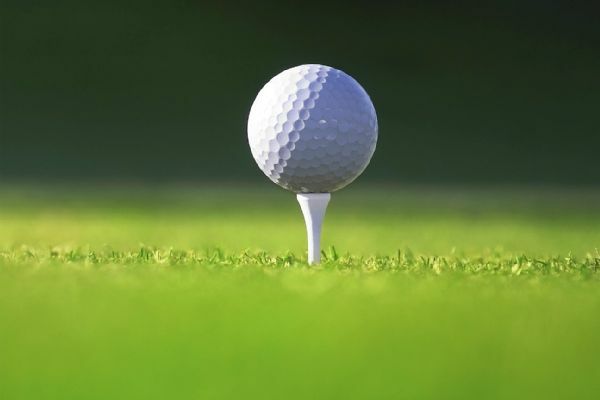 espnW: How did you prepare for Q-school? Torres: I've been staying with a teammate in Gainesville, Florida, because after the hurricane I needed somewhere I could practice. I was playing every day and playing in tournaments in Florida before Q-school to get into tournament mode. espnW: Were you in Puerto Rico during Hurricane Maria? Yes, I was there during the hurricane and 10 days after the hurricane. It was unreal to see what was happening. You always want to be optimistic that something like a hurricane won't actually hurt where you live, and that it will move north or south, but this one hit us really bad. It was nerve-wracking, but you do what you can to prepare for the hurricane. espnW: You came back to the States after the hurricane. How did you mentally prepare after going through that? Torres: It was really sad, but when I was talking to my parents, they said, "You have to leave, and you have focus on Q-school." They encouraged me to keep practicing and to stay focused on the end goal. It was still sad to see because you want to help in whatever [way] you can, but this has helped me appreciate what I have, and the support I have, and everything else. I'm not taking this moment for granted at all. espnW: What does mean for you personally to qualify for the LPGA Tour and represent Puerto Rico? Torres: It's so amazing. It's all still sinking in, like, holy moly, this is crazy! But it's so exciting. I worked so hard, and I've been dreaming of this since I was little, and now I'm a professional on the LPGA. It's just amazing [laughs] and I'm kind of speechless when I talk about it. But I'm excited to go back to Gainesville and see my teammates and then go home and see my family and share this excitement with them. espnW: How do you hope your presence in the LPGA will promote golf in Puerto Rico? Torres: By teaching kids that if you work hard, anything is possible. It's not just about golf. I want them to believe in their dreams and go after what they want. But I would love to see golf become more popular. espnW: Did you have any family with you during Q-school? Torres: No, but I did have national teammates from Puerto Rico who are studying in Daytona, and they came out to watch and support me, thank God. It was awesome, because it's a long week, and it was great to have them there and walk with me throughout the tournament. I appreciate them so much, and I've known them for so long, so it was like having family out there. espnW: Tell me about the final day and the final holes. You had to fight your way through it, right? Torres: That was the longest day ever. This was make it or break it. Knowing that was nerve-wracking, but then having to go to a playoff was unsettling. Everyone is a good player. But it was also exciting, because it felt like I was playing against tour players, and I just had to take advantage of that moment. I viewed the playoff as a second opportunity to make it and to earn full status. espnW: It sounds like you focused on capitalizing on that moment? Torres: It was there or never. I just focused on going out and playing and tried not to think about anything else except having fun. First call? Obviously to Mom with tears of joy! espnW: When you realized you won the final spot, whom did you first call and what did you say? Torres: My mom, because I knew my dad was next to her, so I knew I'd get both of them at the same time. I started off the conversation real serious with, "Hey, mom, I had to go to a playoff," and I tried to create some suspense ... and then I said, "I got the last spot!" My mom was excited, and I think she was crying, I'm not sure, because I've never seen my mom cry. But I heard my dad yell, "Yes!" They were so excited and happy for me. espnW: How do you plan on celebrating when you get home? Torres: I just want to see my family and I'll be happy. When I get a hug and kiss, I'll be great. It's that simple. I want to be able to talk to my parents in person and tell them about the experience and continue focusing on what's coming up next and prepare for my first season out there. Anya Alvarez played golf at the University of Washington, and went on to compete on the LPGA and Symetra Tour. She currently writes about gender inequality issues in sport and hopes to provide a spotlight on women in sports making waves.